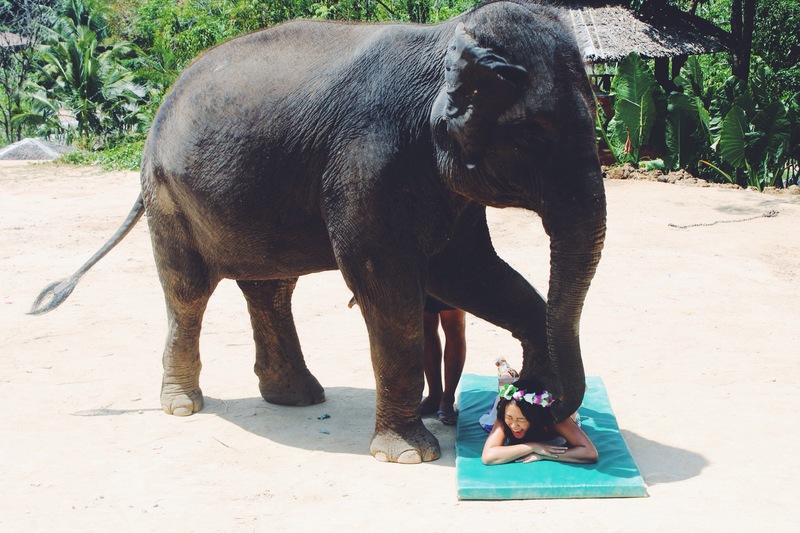 It seems that these days, one of the most popular things to do in Thailand is to ride an elephant. I mean, how authentic does that sound, right? You sitting on a saddle on the back of beautiful gentle animal, going for a stroll in the lush tropical jungle in an exotic land. Now that sounds like the perfect profile picture. It is undeniably a wonderful experience. Elephants are such lovely creatures and to be near them and just to be able to touch them is such a wonderful privilege. When I went to Thailand for the first time, I knew right away I had to do it. And I looked forward to it like a kid looked forward to Disneyland. I mean come on, ELEPHANTS. Where in the world would you find a better place to experience this other than THE land of the elephants? It was a no brainer. To be clear, I wasn’t a very experienced traveler at this time. Having just graduated from nursing school, all traveling I did were basically just short vacations and everything was pre-booked with a tour. Needless to say, when me and my friends went, no researches were particularly done. We booked with one of the first tour we saw in google, which was Island Safari Tour in Phuket. Not only did I hate my experience with them, and well, I’m not very proud of it either. Let me start off by giving you a brief story on my encounter with Island Safari Tour. So being the vacationist that we were, we showed up at the tour with nothing but our bikini tops and daisy dukes. Thinking this was going to include bathing with the elephants (it didn’t, apparently, but other tours do), I even had a flower crown on because I had wonderful images in my head of amazing pinterest worthy photos (embarrassed emoji). Well we get there, and the ladies arrogantly refuses to let us enter this “sanctuary” because of our inappropriate attire. Trying our best to understand that this IS a part of their culture, we gave in and bought some cover ups at their gift shop. I mean, if we’ve done our researches correctly, we probably should have known this. Yet again, the driver who picked us up completely ignored the fact that we were on our bikinis when we got on. So whatever right, I wasn’t going to let this ruin my bucket list experience. I’m not going to focus on the activities that came with the entire tour, because my aim is not to promote them. But I will give you some concise details. 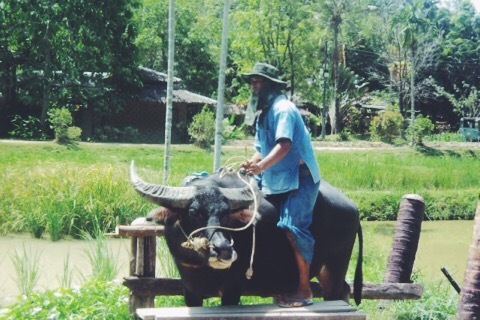 Basically it included a few little extras, such as a short papaya salad making lesson, water buffalo ride, etc. There was also a short show with monkeys and elephants doing tricks. They were impressive and very entertaining– from an elephant shooting darts and popping balloons, baby elephants playing soccer, come on, who would not swoon over that. 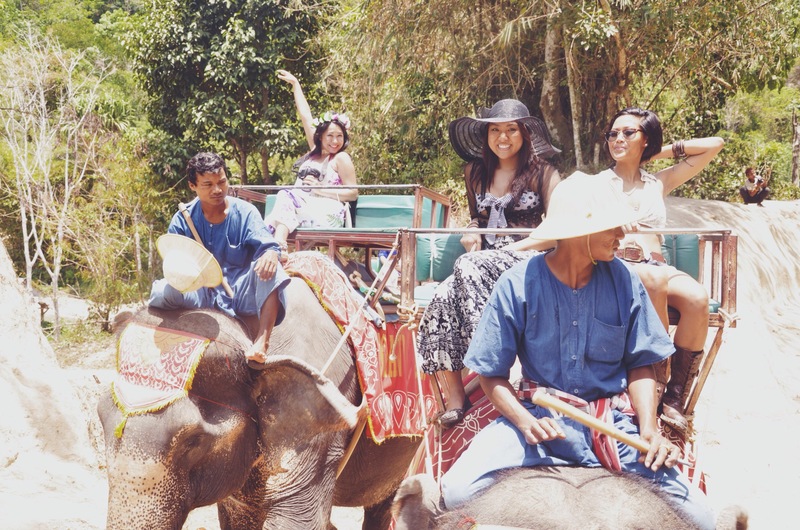 As for the main attraction itself, the elephant ride was definitely an experience I’ll never forget. The elephants…I LOVE THEM. They’re absolutely smart and lovely. But here’s the ugly truth; as you may already know, they don’t get the treatment they deserve. Now I don’t intend to sound like an activist, because I’m not. There is nothing more annoying to me than people who all of a sudden gains a new set of belief just because they watched one video on Facebook. Without even doing further researches, all of a sudden, they’re activists. Social media activists, if you may. After my experience, I’ve actually tried to dodge as much videos regarding elephant captivities because I didn’t really need the guilt (same guilt from watching The Cove after swimming with the dolphins). But prior to my backpacking trip around Southeast Asia, I’ve done a lot of reading and I educated myself more on the animal mistreatments around Asia. It all started when I started looking up tiger temples because I wanted to pet them. Although I have pet a baby tiger before, I imagined it would have been cool to lie next to a full-size grown up one. But…a clearly sedated mammal just did not appeal to me. Let me be clear with you, as I’ve said already, I’m not an activist. I felt guilty swimming with the dolphins in an ocean environment, but if given the chance, I would probably do it again (because I loooove them) if it felt right. But there’s gotta be a line to be drawn. Drugged up animals, no. And back to the original topic, elephant mistreatment, never again. Animal captivity is one thing, but causing them physical pain is another. The most humiliating thing I would admit is that even after I’ve seen the treatments of the elephants– hitting them with sticks as a means of getting them to do tricks, and to submit to commands, I chose to shrug it off. Not that I could have just demanded them to pull over and drop me off in the middle of the jungle or anything, but I wish I would have acknowledged it sooner. That was basically all I saw and witnessed that’s why I chose not think any of it. However, later on, I also read that the saddles cause them a good amount of pain. Although elephants are the largest animals on the planet right now, a saddle made of metal, plus a grown human being or two riding them ALL DAY long, will absolutely be straining their backs. 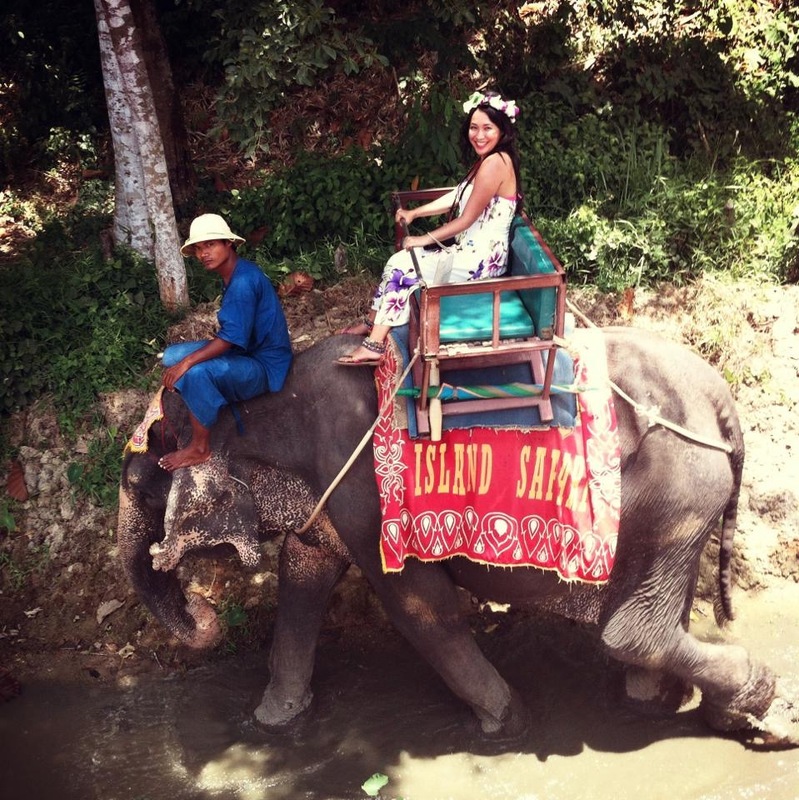 Now if you really must experience an elephant ride, at least opt for one that doesn’t have a saddle. But if you choose not to advocate everything I’ve mentioned here, then opt for an elephant sanctuary that cares for rescued elephants. There are a few around Southeast Asia. Most do not promote elephant rides but they give you a wonderful experience with them. You get to feed them, play with them, walk them, and even bathe them! I was supposed to do this in Phnom Tamao Wildlife Rescue Center in Cambodia, just a little outside Phnom Penh, but plans have changed. They cost a little more than you would pay at a regular elephant “sanctuary”, but the money goes towards the wellness of the animals. See, I really do wish I knew better, but instead, I went along with complete oblivion and naiveness and flaunted my elephant ride all over my social media. 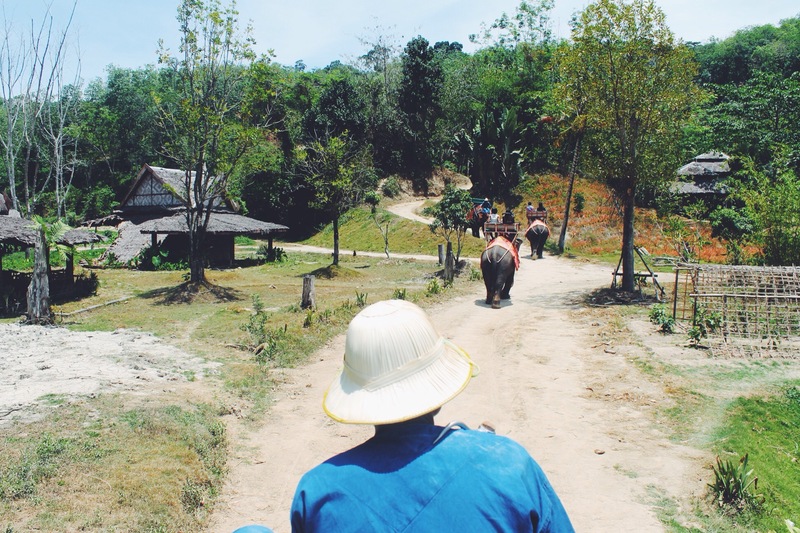 Before you plan to add an elephant ride to your bucket list, or before you cross it off, at least consider some of the things I mentioned. Read up more about this issue if you can. I aim to spread awareness, not to change your belief. If you did, however, learn a thing or two from reading this, share what you now know to your friends. You don’t have to change the world, but it’s nice to know that you’ve made a little bit of difference. 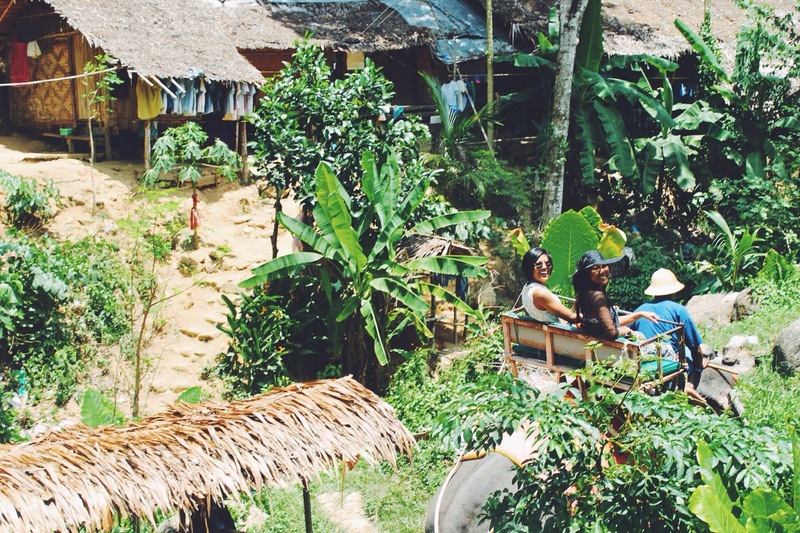 Have you ever had an elephant ride experience? Let me know down below how yours went and what you thought about it, I won’t judge, I promise! If you like what you’ve been reading on my blog, keep up with me on Facebook, Twitter, and Instagram too! I’ve never had an elephant ride, and honestly, I don’t think I’d want to. Don’t get me wrong, I love animals, but it seems a little scary to me. Plus, with your story, I don’t think I’d want to support something that hurts animals. Thank you for telling us about your experience so others can make a more informed decision. Hi, I like you have ridden an elephant in Bali, Indonesia and like you my wife and I didn’t do the research. Now armed with more knowledge and way more experience would never do on again. We are off to Chiang Mai in November and will be visiting an elephant sanctuary, one where they have rescued elephants. I will feel more comfortable knowing my money is supporting such a great cause and it will give me the opportunity to photograph these wonderful creatures up close. 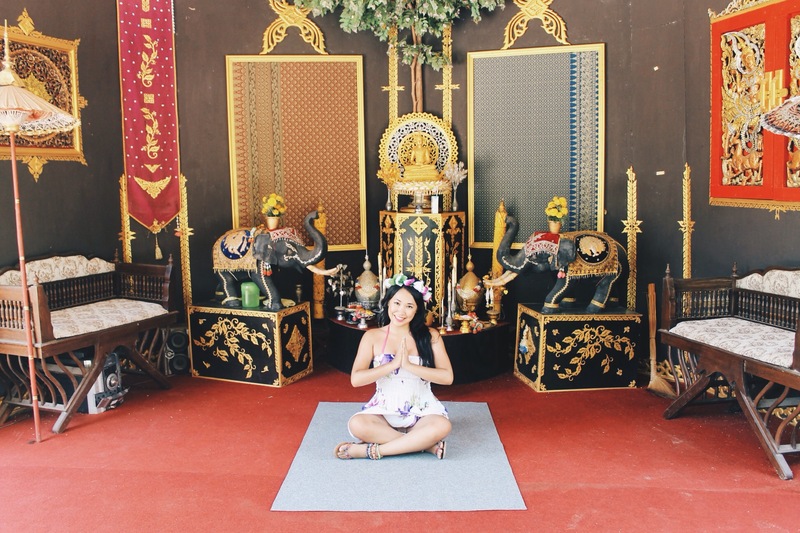 Are you going to be in Chiang Mai for the Loi Krathong??? SO JEALOUS. I hope you and your wife have a marvelous time with the elephants at the sanctuary! Animals are not for our entertainment. Period. That means no SeaWorld, no swimming with dolphins, no elephant football, no cuddling koalas, no photos with tigers and no elephant rides ever. Sanctuaries are crying out for funds so I’m pleased you’re directing your efforts in their direction. And full marks for sharing your story and learning on this – there is no problem with making a mistake when we’re young as long as we learn from it!! A great, inspirational post highlighting the benefits of travel! Very precise words! Thank you for appreciating my story and your kind words. I still have a lot to learn, and thank goodness for travel because it’s what gives me a better perspective about issues like this. Kudos for having the courage to post this and raise your consciousness. I know exactly how you feel. And I agree with DreamDiscoverItalia, we need to evolve and become a member of the species family on this planet, and stop being the ruler, taker and destroyer. Thank you so much, Shellie! That is my complete intention, because I noticed not many really know about this. I wish more people knew how badly the elephants are treated so it’s really great you have written this post to raise awareness. I would love to visit a proper elephant sanctuary that cares for rescued elephants. They are one of my fave animals and it would be such an amazing experience! They really are lovely, Alice. I feel so fortunate to be able to hang out with them. Next time I go to Thailand or Cambodia, I’m absolutely making a stop at a legitimate sanctuary. I totally get what you mean with feeling happy and wrong at the same time. But the koalas must have been lovely! An entertaining and informative piece. As much as I would love to ride an elephant I will now not be doing so. A great read. Keep up the great work! An entertaining and informative piece. I will not be riding an elephant, as much as I would have loved to after learning of these harsh treatments they receive. Keep up the great work! Thank you Robb. Spending time with them without riding them is always a good time time to nonetheless. Yep, this is why I hate seeing peoples holiday snaps with tigers / elephants / leopards etc. No one knows the conditions these animals are kept in, and unfortunately many owners treat them terribly. I would love to ride a camel! despite all, it must be an interesting experience. I liked your connection with the Cave. I have seen it some months back and I was really shocked. Yet still, I hope to have a chance to swim with dolphins once. I’ve never been on an elephant ride and I don’t think I ever will. Elephants are such beautiful creatures and yeaaaaaaaaaaah, I don’t like how they are beaten as babies to break their bond with their mother so they could be used for entertainment. 😦 I do want to meet and pet an elephant, though! There’s a line to be drawn and sadly not many people know about what really happens behind the profile pictures. I’ve seen some of my friends rode and elephant, but I am not really convinced to ride one no matter how many times they say it’s fun. I pity them. It’s become more of a bucket list priority instead of the desire of authenticity. It really is embarrassing to admit. It took some balls to do so. Brilliant article, it hit so close to home when I was reading it. I travelled to Asia a couple of years ago and although I had done some research into the horrific treatment of some of the animals there (and I did refuse to go with a friend when she went and got photographed draping herself over a drugged up tiger) I did give in when my friends talked me into the ‘cheaper option’ for seeing some elephants. I had wanted to visit a real sanctuary where they are properly cared for and fully prepared to pay more for the experience but my friends just weren’t on the same page. I caved in and went with them and I’m so ashamed by it. I regret so much not sticking to my guns- seeing such proud and majestic creatures reduced to walking round in a circle all day, carrying tourists on their backs while they take selfies for their facebook pages is just wrong and I wish I’d never done it. Like you, I just got caught up in the excitement of riding an elephant and didn’t think about anything else. Hopefully people will read articles like yours and think twice about it before giving their money to these places instead of proper sanctuaries. Thank you so much. I guess it’s easy to ignore the facts until you see it in your own eyes too. Thank you for acknowledging your embarrassment about this subject. I agree you don’t need to be an activist about this issue but the word needs to get out because so many people have no idea. They think it’s just normal and part of the culture to ride on an elephant, and yes I’ve seen many facebook profile pictures of people on the backs of these creatures, enjoying the experience and getting that perfect selfie, but I wish I could shake them and show them this article! I’m glad you also mentioned the ‘tiger sanctuaries.’ Folks if you don’t know, these tigers are being drugged up on a regular basis to sit in a cage so you can look like a badass on facebook. Both of these experiences were being advertised when I went to Chiang Mai and I can’t believe that more people don’t know about the mistreatment. Ugh you’ve worded it so well. What exactly is cool about a photo with a tiger that we all know is sedated anyway? Nothing is badass about it at all. 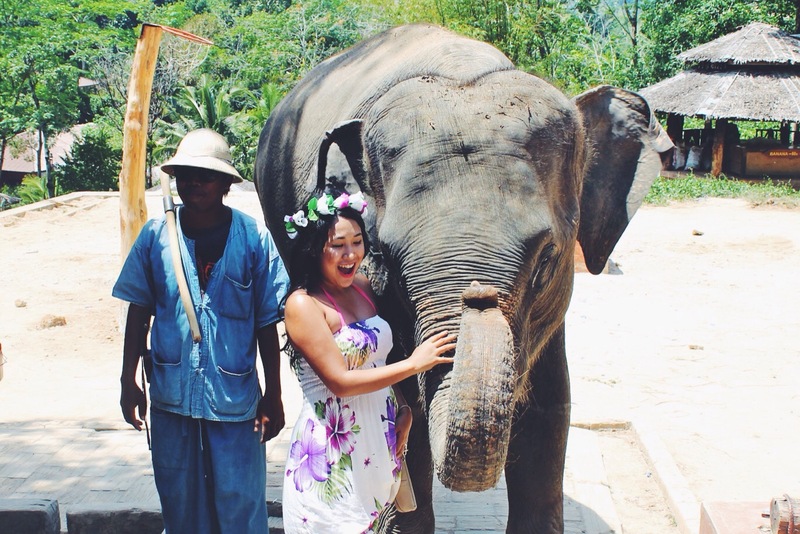 There are a lot of posts about the treatment of elephants in sanctuaries around Thailand and, although I’m not claiming to be an expert on the topic, I’m not sure how tourists and travellers still think it’s okay to ride elephants. I guess though, I was in the same situation when I went to SeaWorld when I was younger. I didn’t really think about how the animals were kept, I just wanted to have fun and I feel so bad about that now. It’s through posts like this that people learn and it’s so nice to know there are places where you can see elephants and their welfare is looked after. They’re such beautiful animals! Thank you Emma! I guess regardless of posts like this, some people just don’t care, which is just as even more heartbreaking. I clicked on your post, because I also wanted to ride elephants and included it on my bucket list on my website, but that triggered a wild discussion and so I learned about the subject. If you want to read it its on my facebook page https://www.facebook.com/bonfiredream?ref=bookmarks. I finally understand the implications of this and will not do the same mistake although I am very tempted to. Happy travelling! That’s great to hear!! I’ll definitely read this later when I have more time! Thanks Nikoleta! You’re right. Perhaps I should update this. During the time that I wrote this, I didn’t have any factual details regarding that. It truly saddens me the more I learn about the cruel reality of not only elephants, but other animals as well around the globe.